Rove beetle (Staphylinus caesareus) on moss. 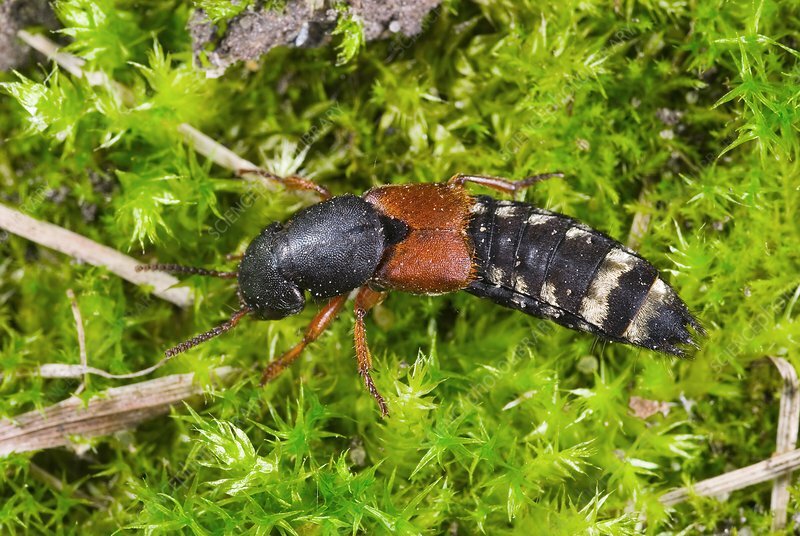 Rove beetles (family Staphylinidae) are the largest family of beetles, with approximately 58,000 species worldwide. Photographed in Poland.